Can we all agree that even Joseph Heller could not have come up with a better name for the State Police officer heading the search for two escaped convicts in upstate New York: Major Guess? 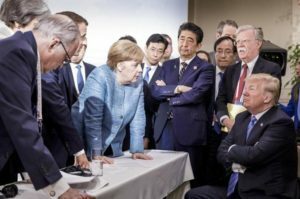 Can we all agree that despite White House spin to the contrary, this week’s Democratic vote against the President’s trade plan, was a major defeat. 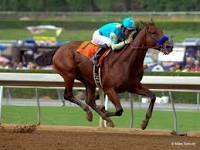 Can we all agree that even the casual fan was thrilled to see a Triple Crown winner? Can we all agree that we haven’t heard the last of the Fast-Track trade authority? Can we all agree that no matter whose side you are on, the campaign season is very entertaining? Where else would ‘Bro with no Ho’ become a catch phrase? Can we all agree that the San Francisco City Councl decision to put warning labels on sugary soft drinks is a giant step in the right direction? Can we all agree that those of us who lived through the Viet Nam War are a bit nervous to hear that 450 more ‘advisors’ are heading to Iraq? Can we all agree that Hillary’s event in New York City this weekend is more about regaining momentum, than actual policy? 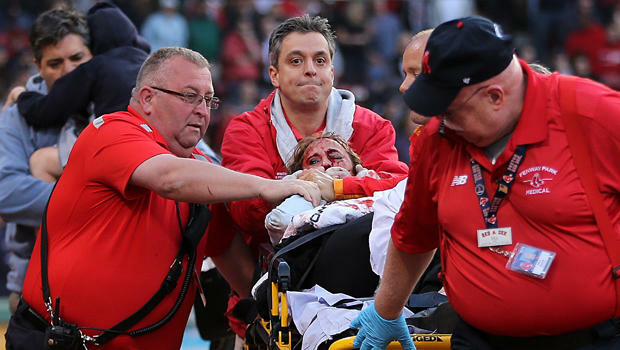 Can we all agree that while baseball will study fan safety, nothing of substance will come from the tragic injury to a Fenway Park fan when a broken bat flew into the stands. Can we all agree that the death of the Iowa straw poll is good news for every Republican? Can we all agree that despite major leadership changes at Twitter and News Corp. the general public will barely notice. Can we all agree that the electoral defeat of Turkey’s leading party, could have far reaching consequences for world politics? Not that most Americans are even paying attention, since we seem to barely care that Greece may break up the EU. Can we all agree that continuing revelations about the hack of government personnel files is making the US look totally unprepared for cyber warfare? Can we all agree that the EU investigation into the Amazon pricing policy of e-books, should have been done long ago in the United States? Can we all agree that once Jeb Bush, John Kasich and Scott Walker finally announce their candidacy for President in the coming weeks,we can get down to the ‘real’ campaign, and just maybe, we will start to see people leaving the race? Can we all agree that ‘stress’ is really no excuse for pinning a teenager to the ground and waving a gun while trying to break up a pool party? Can we all agree that every Baby Boomer recognized the name of Vincent Bugliosi, who passed away this week?